If your domain has enabled non-admin user password recovery from the Admin console, then you may have decreased your help desk tickets by giving users an automated way to reset their password. Starting October 25, 2016, we’re extending non-admin user password recovery to include email addresses, an extension to our phone numbers launch from last year. 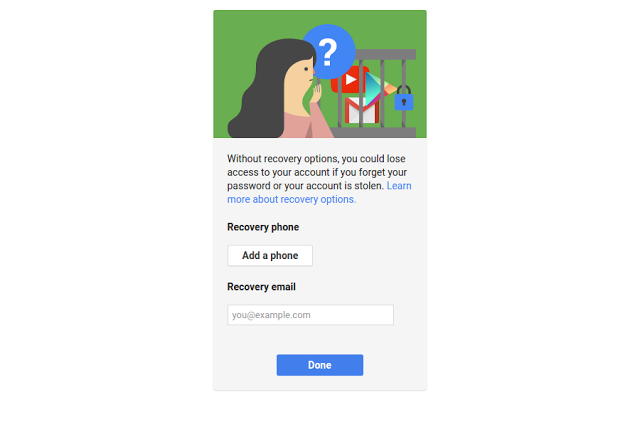 Non-admin user password recovery launched over a year ago as default OFF for new G Suite domains, and you can enable the feature by Organizational Unit from the Admin console under Security settings. If you’ve already enabled the feature, then users will be prompted to add a secondary email address. Note: For G Suite for Education domains that are Primary/Secondary institutions, only administrators will be shown the prompt for email address and phone number.